Can Cats Eat Bread? What Good Can It Do, And What Harm Can It Do? You are here: Home / Food / Can Cats Eat Bread? 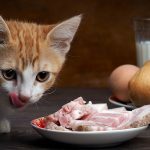 In this article, Jessica Everitt asks “can cats eat bread?”, and of course, gives us the answer! Bread is a daily staple in my house. Toast, sandwiches, English muffins, garlic bread. You name it, I love it. If so, it’s natural to wonder if your cat can eat it. Especially if your little feline friend just happens to be staring up at you with those big beautiful eyes while you eat your sandwich. 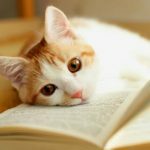 In this article you will find out all about if can you feed cats bread and if it’s healthy for them to have. There are lots of different types of bread. If you walk into your local grocery store or bakery you’ll see breads of all different shapes, sizes and varieties. Regardless of bread type however, they all have some basic things in common. For instance, all bread is made from grains. Which grains, and how they’re processed, has a lot to do with the different bread varieties, such as multi-grain, whole wheat or rye bread. All breads are also classed as carbohydrates, and they include gluten, unless you choose specially-made gluten free products. The question is, do cats need carbs? What about gluten? 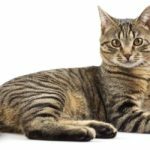 Are these healthy or harmful for felines? In addition, we’re not just asking about any carbs here, but more specifically, should cats eat bread? When talking about cats and bread, we need to understand what nutrients bread offers, and then see if those nutrients are beneficial to cats. Bread is not 100% carbs. Bread also contains a low amount of fat and sugar, as well as some protein. Bread is a good source of fiber (especially the crust, and breads made with less refined grains, such as wholemeal and rye breads) and B vitamins such as folic acid and niacin. Many white breads are fortified with iron and calcium during the manufacturing process to make them healthier. Cats need lots of protein and fat in their diet for energy and to maintain muscle mass. They also need protein for the supply of essential amino acids. Amino acids are the building blocks of proteins: we use them to build the cells in bodies, and to complete hundreds of biological processes necessary for survival. Essential amino acids are the amino acids we can’t make ourselves, and need to consume ready-made in our diet. Humans need nine essential amino acids, cats need eleven from their diet. Cats should also receive essential fatty acids from their food, such as Omega-3 fatty acids. Minerals such as calcium and iron are important, as well as vitamins, including A, B, C, D, E and K.
Can Cats Eat Bread To Get These Nutrients? You will notice that carbohydrates didn’t make the list of nutrients needed by cats. 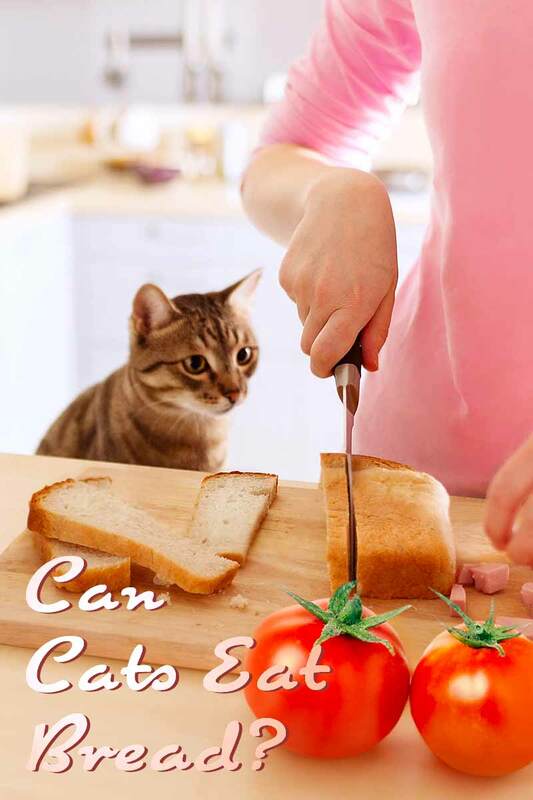 That’s because there is no need for cats to consume carbs. In the wild, only approximately 10% of a cat’s diet is carbohydrates, and these still come from the small mammals, birds, insects, reptiles, amphibians and insects wild cats eat. Their greatest nutritional need is high-quality protein, from an animal source. It is particularly important for cats to have animal protein; their digestive system is highly specialized to breakdown a meat-based diet, and they can’t extract the nutrients they need from any other diet. So now we know that cats don’t need bread, but do cats eat bread? And should they be allowed a little if they seem partial to it? Or is bread bad for cats? It will depend on your particular cat, there certainly isn’t any hard and fast rule. Some owners say their cats love bread and beg for it. Other cats would walk away with their nose up in the air if you tried to give it to them. You might find your cat ignores one type of bread, but merrily tries to raid your plate for another. But how should you react when they try to steal a bite? Most bread is not toxic or dangerous to cats. They can eat a little here or there without any grave side effects. So if your cat already has a penchant for small amounts of bread, there’s not need to suddenly revoke his toast privileges. BUT, just because a cat can eat bread, doesn’t mean they should. Or at least, not as a significant part of their diet. As we have seen, the nutritional profile of bread is completely opposite to the nutritional profile cats need. Cats need lots of animal proteins and fats, and bread only contains trace amounts of these, which, of course, are not animal based at all. Whilst bread does also contain some trace vitamins and minerals which cats do need, there are no important nutrients found in bread that cannot be found in higher quantities in other foods. So save small pieces of bread as a very occasional treat, and make most of your cat’s meals something tailored to their actual needs. When Is Bread Bad For Cats? Some bread products do tip the balance from benign-ish treat, to potentially very dangerous, and we’ll look at those now. Cats must not eat uncooked yeast dough; uncooked bread dough containing yeast can lead to alcohol poisoning in cats. In addition, there are some optional ingredients that could be put in bread that are dangerous to cats. These include garlic, onion, chives, macadamia nuts, raisins, chocolate and caffeine. In other words, make sure options such as garlic bread and raisin bread are never given to your cat. There is no evidence that cats suffer from celiac disease or need gluten-free products. However, there have been cases of cats having carbohydrate allergies. Therefore, whenever giving your pet something new to eat, limit it to only a small amount and keep an eye on your kitty’s reaction. If you see any worrying symptoms, contact your veterinarian. If a cat eats a small amount of bread it should be perfectly fine. My cat eats bread on occasion and she’s perfectly healthy. Of course, all cats are different, and this is no guarantee that your cat will react the same way. 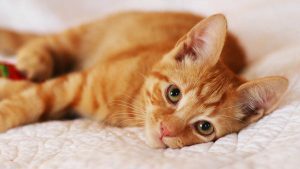 These symptoms could quickly progress to your cat losing consciousness and even dying if they are not treated by a vet immediately. What Should You Do if Your Cat Eats Bread? Baked bread, not containing any dangerous ingredients should be perfectly fine in small quantities. If your cat eats a little bit of bread, there is no need to worry. However, if you suspect your cat ate raw bread dough or any type of dangerous bread such as garlic bread, there should be cause for concern. First, try to determine exactly what your cat ate and how much of it was consumed. He or she will likely ask you a few questions and then be able to tell you if immediate medical attention is required. If you cannot reach your veterinarian, you can also call either Animal Poison Control at 1-888-426-4435 or the Pet Poison Helpline at 1-800-213-6680. Bread is not toxic to cats, but nor does it have any beneficial properties that would make it a great addition to your cat’s normal diet. Cats need a diet high in proteins and fats from animal sources in order to stay healthy. Whilst most breads won’t actively harm them, your cat won’t be able to extract the essential nutrient they need to maintain muscle mass and support all the different processes going on in their body. Therefore a cat filling up on bread at the expense of more suitable foods can eventually become malnourished. The occasional corner off a slice of bread is unlikely to harm your cat. But if they have never shown any interest in it, there is nothing to be gained by offering it. Never let your cat eat bread containing one of the foods which are poisonous to cats, and always consult your veterinarian if you notice any cause for concern. Does Your Cat Love Bread? 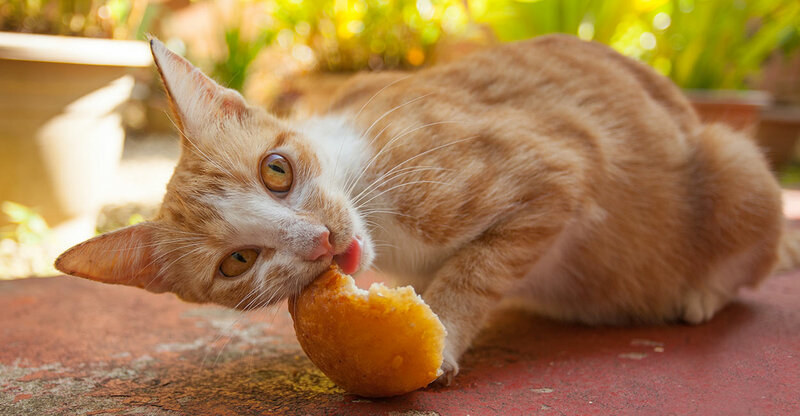 Most cats have some surprising likes and dislikes when it comes to food. Tell us about your cat’s in the comments box below! Foods to Avoid Giving Your Cat. Dover Area Animal Hospital, 2014. Common Medical Issues – Gastrointestinal. All Feline Hospital, 2018. Gwaltney-Brant, SM. Bread Dough. Merck Manual Veterinary Manual, 2018. 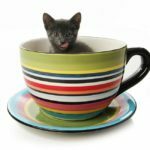 Nutrient Requirements of Dogs and Cats. National Academy of Sciences, 2006. Stice, S., Thrall, M., Hamar, DW. Veterinary Toxicology (Third Edition). Academic Press, 2018.